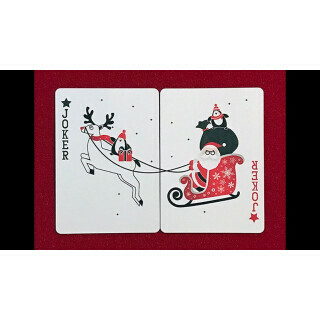 A beautiful new Christmas deck! 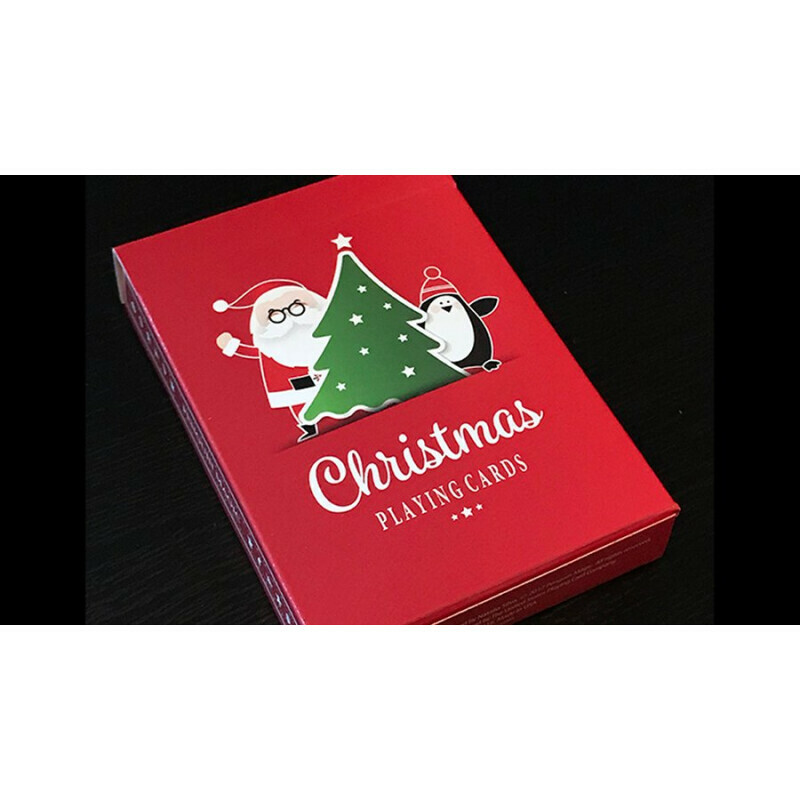 In 2015 we celebrated the holiday season with a 100% custom deck of Christmas-themed cards, expertly designed by Natalia Silva. 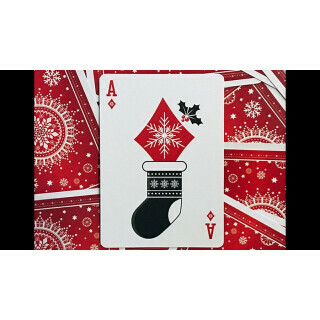 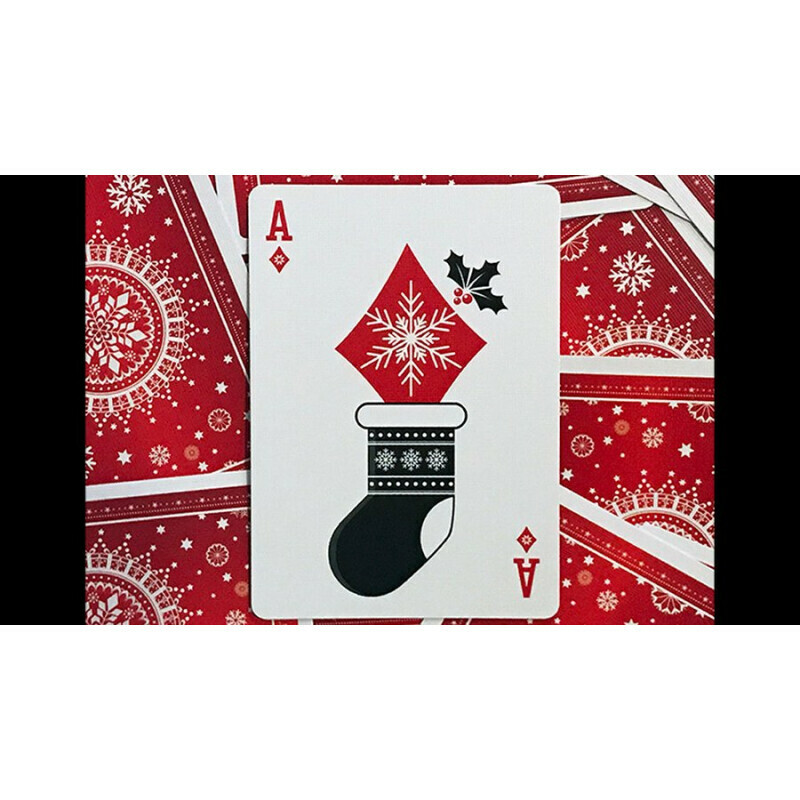 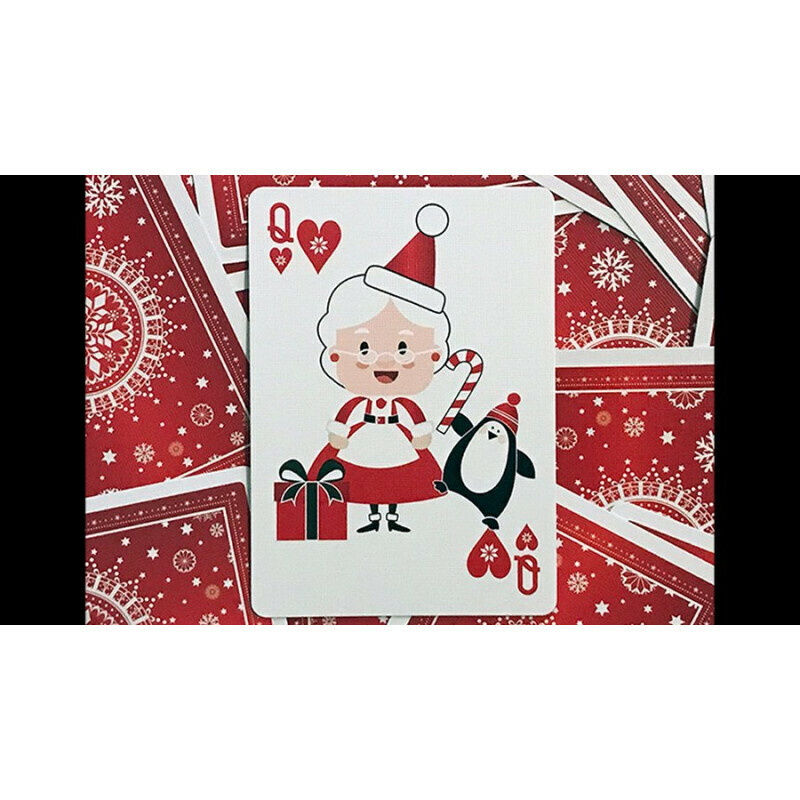 The cards were a big hit and sold out; so, we created an all-new Christmas deck for 2017! 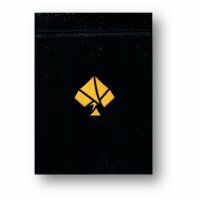 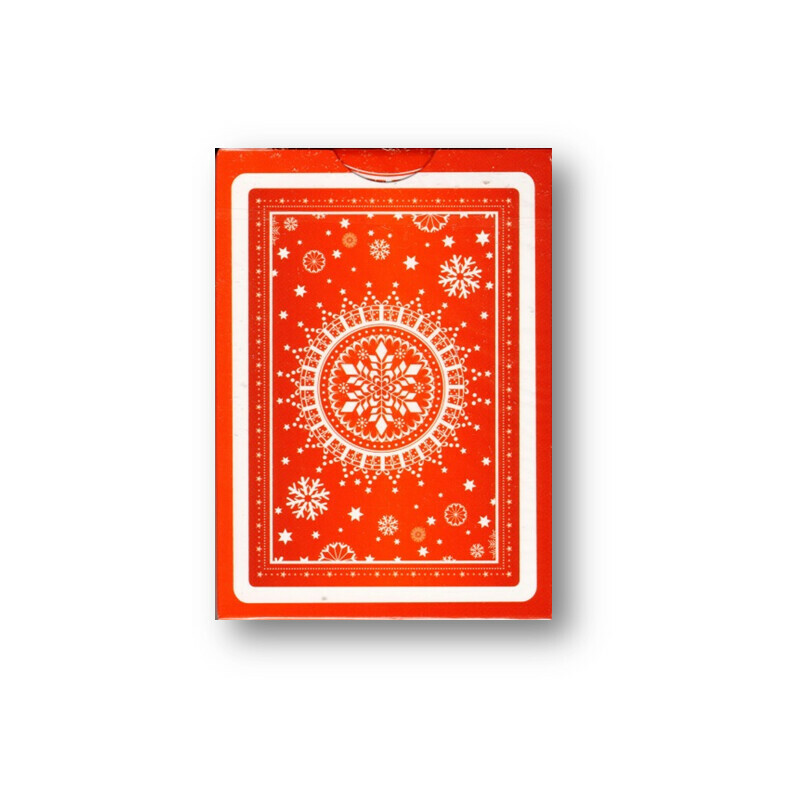 This deck is full of unique, whimsical images on EVERY face. 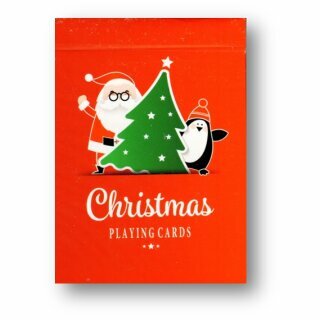 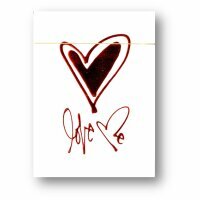 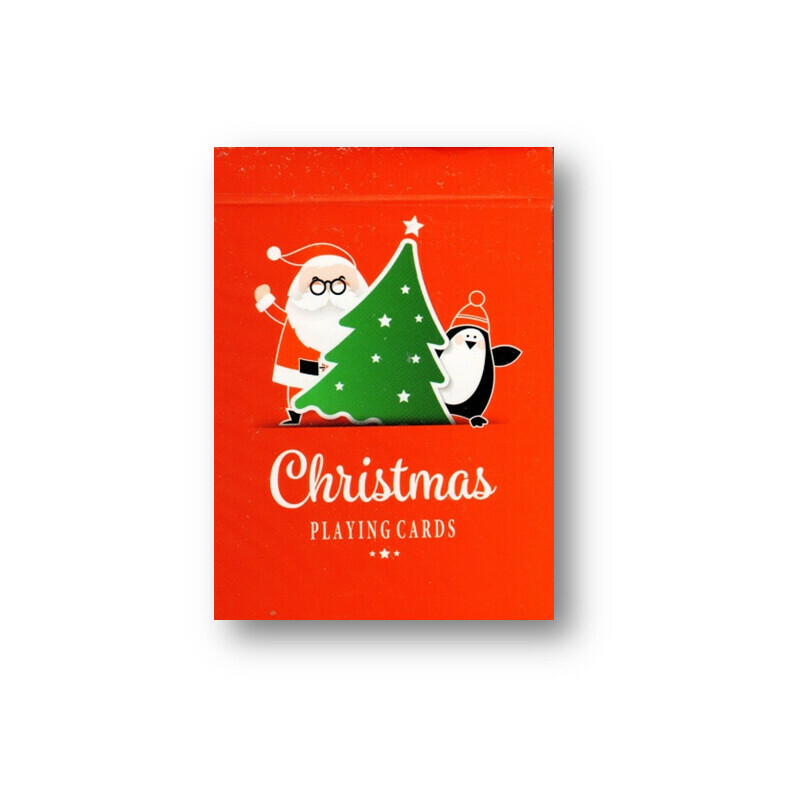 No two cards are the same, and they include playful images of Santa, snowmen, reindeer, and of course penguins! 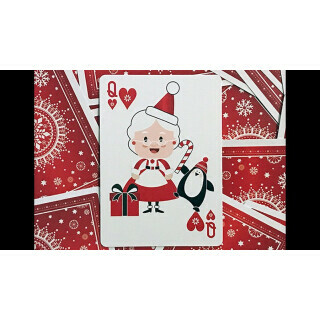 Even Mrs. Claus makes an appearance! 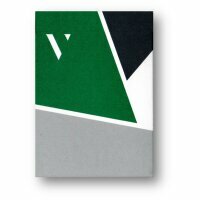 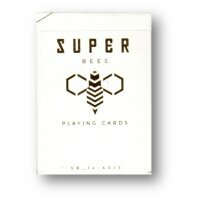 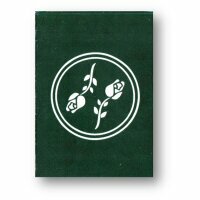 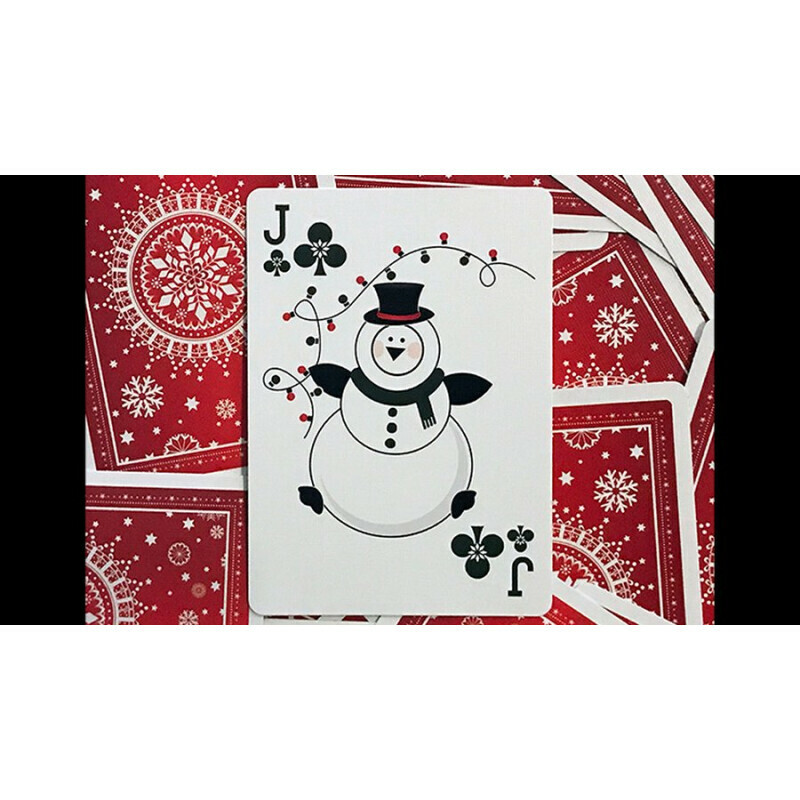 The pips are integrated into each face design, making this a fun transformation-style deck for the season. 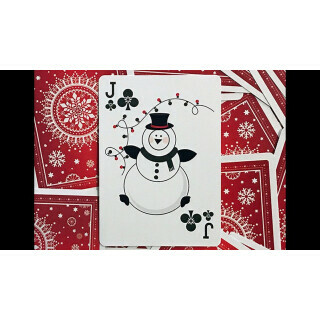 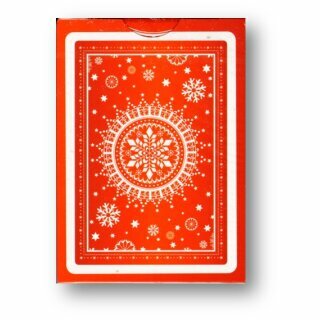 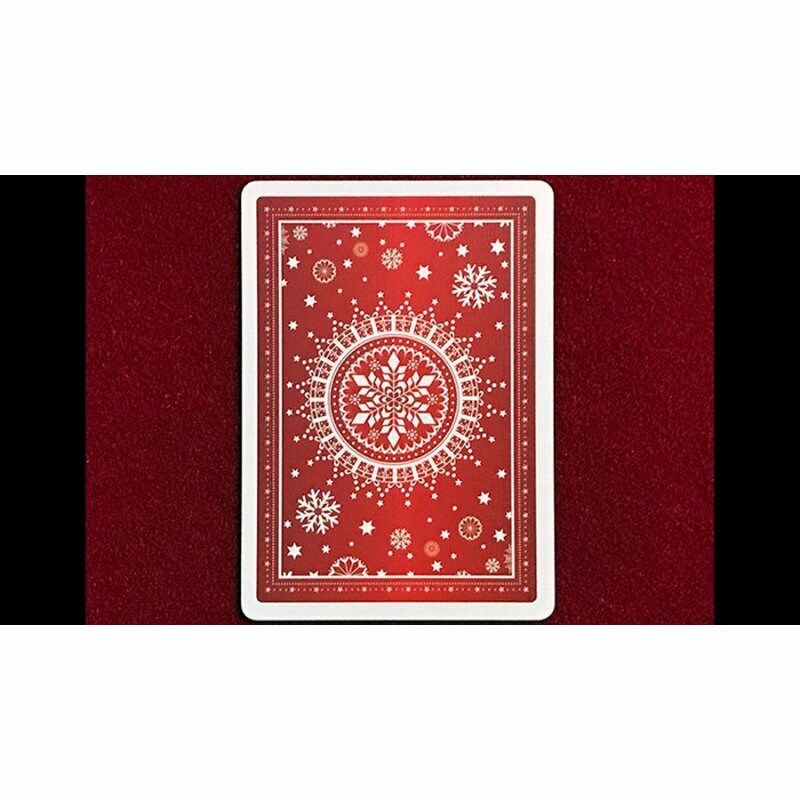 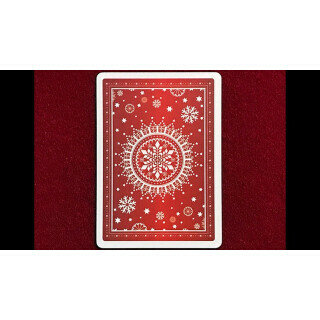 The gorgeous red and white snowflake back design looks classic and traditional, while having enough intricacy to look great with any fancy cardistry move. The diptych Jokers combine to make a single larger image of Santa flying in his sleigh! 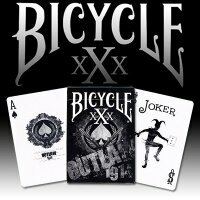 - 100% custom artwork by Natalia Silva - every face is unique!